Yes, you can experience Paragliding in Pokhara over the tranquil and serene natural beauty of the Pokhara city. The paragliding activity offered by Bharal Adventure which you can plan with as a day of adventure during your vacation in the Himalayan land. 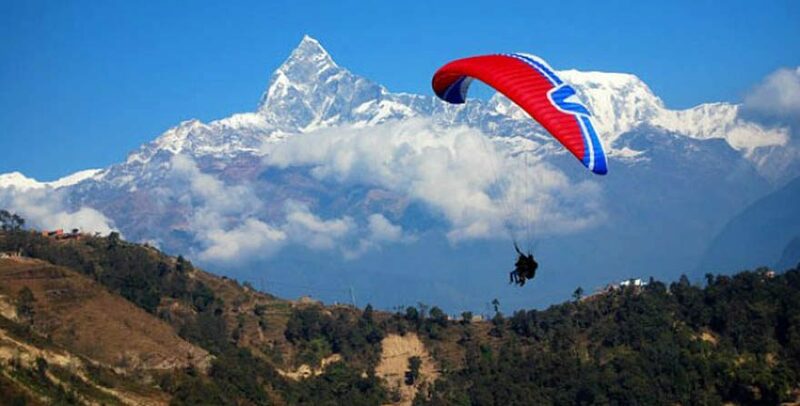 Paragliding in Pokhara is an imaging soaring high above with the wind caressing gently across the face. 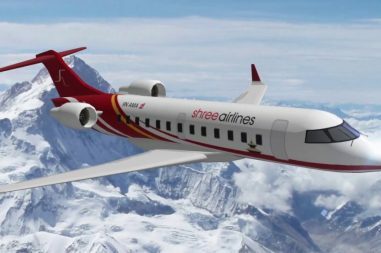 As the glider indulge in the breathtaking views of tranquil Fewa Lake, green rice and magnificent mountains below you. Now imagine yourself doing that. One of the best adventure activities in Nepal. Paragliding over Pokhara is an experience you do not want to miss. An experience with magnetic scenery of spectacular peaks, monasteries, temples, lakes and jungle. Paragliding in Pokhara experience begins with Sarangkot. 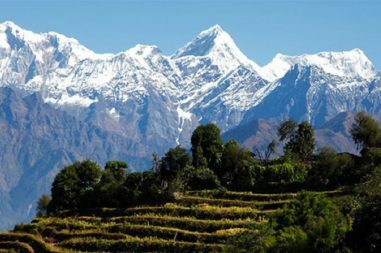 Sarangkot is a famous hill station for mesmerizing views of sunrise and sunset over the Himalayas. For best conditions, the suns needs to have been out long enough to heat the earth and create the thermals necessary for lift. The early morning flights tends to be a bit less than 30 minutes as the thermals haven’t developed yet. If you’re looking for a clam, less turbulent flight, this is the best time. By 11:30 AM, the thermals have become active and the best conditions for paragliding are in place. If you want to get your money’s worth, this is the best time to fly. Bharal Adventure assures you best hospitality and quality services.